About a year ago, Pearson stepped up and generously offered to foot the bill for Ning Mini networks created for educational use in North America (includes K12 and higher ed). 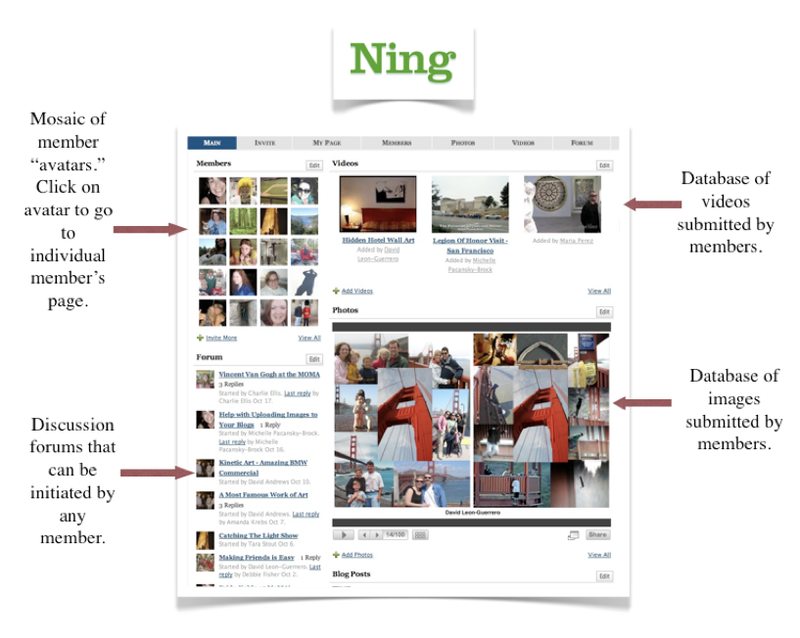 I’m one of those who jumped on this opportunity, as I had been using Ning for years as a participatory environment for my online students to interact in and learn from one another. The partnership started with some rocky communications, in my opinion, but those hiccups were resolved within a couple of months and has resulted in a great opportunity for educators to experiment with a dynamic social network tool that provides you with the ability to create a private network for students to blog, create a collaborative image and video collection (Tip! You decide what the overarching topic is and let your students search and share), generate their own discussion forums, and more. I’ve used Ning as an enhancement to my course management system, creating specific required activities to be completed in Ning and letting students explore, connect, discuss, share on other topics and content as desired. It’s really been fabulous and I plan to use it again this fall for a new online class I’m currently developing. View this video to learn more. So…I was excited to receive a message from Ning today announcing that the Pearson partnership has been extended one more year. Yeah! But what will happen after that? No clue. I encourage us to take this as an opportunity to experiment and explore the value of social networking in formalized learning environments. Our goal should be to identify the value of such a tool for student learning and begin to advocate for support from our institutions or come up with alternative ideas. Have one? Please share! Click “Get started now” to create your very own network. This will initiate the 30-day free trial period. Once your network is created, apply for Pearson funding here. You’ll hear from Pearson shortly! Online Learning: The Future of Faculty Development? I am setting up my ning network for my classes. Thought that you might be interested in a quote from Ning. "After verifying your Ning Network, Pearson will sponsor your Ning Mini network for free for up to three years!" Previous: Online Teaching Conference: Ready to Roll!